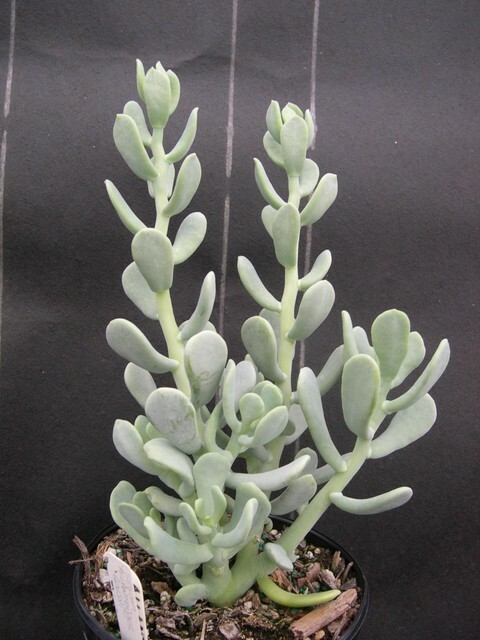 Wide flat leaves are a powdery gray-green color. Upright growth 12-18 inches tall. Flowers are pale yellow-green with red speckling in terminal clusters. This is possibly a cross between Sedum allantoides and Sedum platyphyllum. Mexico.